My very first set of eyes that I created. I hope it looks like rather an attempt. 3 colors - green, blue, brown. I really love this dress, but original has only one colour. So I decided to make new ones. I edited original blue and made darker shade and made 3 new - purple, burgundy, green. I also modified decoration on the dress and necklace. 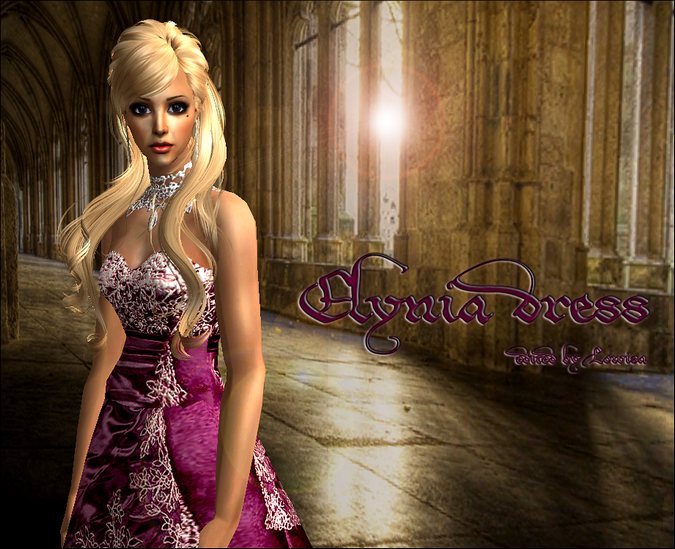 MESH needed: The mesh is Mesh004_LianaSims2_com_Laleaua_Mov, from Lianasims page 11, meshes section, Mesh 004. 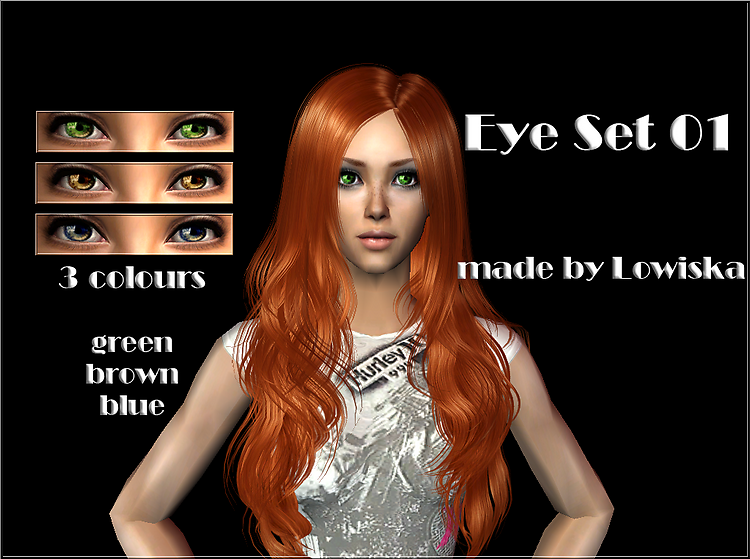 My second eye set I've created - it's not just a recolor for the first time. Not the best I know but it's very first attempt to draw my own eyes. I'm still learning. 3 shadows of each colour in 3 sets - Charming Blue, Adorable Green, Sweet Brown.